Very often during this time of year I find myself anticipating my annual trek to Argentina. 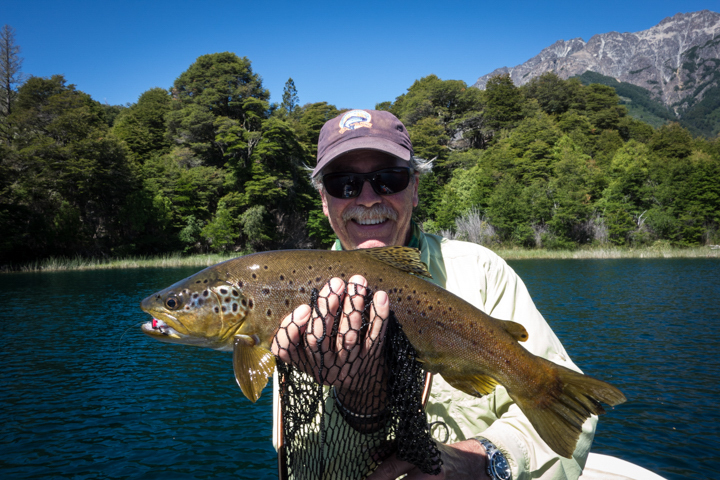 I go to Patagonia every year to fish for Brook, Rainbow and Brown Trout in lakes, rivers and spring creeks. We base out of Spring Creek Lodge near Junin de los Andes. Most trips also include a short camping trip to access waters that can’t be floated in one day. We usually fish dries (with or without droppers) and streamers. Depending on the water you fish one or the other may be more productive. Fishing also varies with the time of year, trout season opens November 1st and closes May 1st. Remember, the seasons are reversed, November is spring, April is fall. 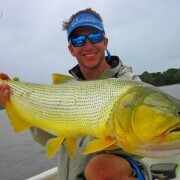 Some years I also go to northern Argentina to fish for Golden Dorado on the Parana River. Both locations are among my favorite places in the world to fish. 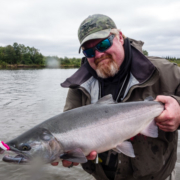 At both locations the Argentina experience is the full package, the fishing, people, food, wine, guides and equipment are all top shelf. Every need will be met and most likely exceeded! In 2019 we have two hosted trips, one to each location. 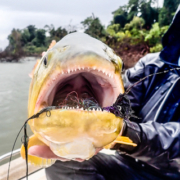 Jon Ray and Ed McCoy are hosting a group at Parana on the Fly, January 5-12, 2019. They have one spot available. The cost is $4750 for 6 days, seven nights all inclusive except travel and gratuities. 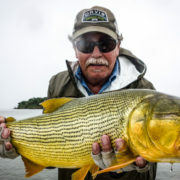 I’m hosting a trout trip to Patagonia with Andes Drifters from December 29, 2018 to January 5-7, 2019. The dates are flexible you just need a minimum of 7 nights. The cost is $5250 all inclusive except travel and gratuities. This is super prime time for dry fly fishing, especially the dragonfly hatch. Big fish eating on the surface during the day! I have two spots left! 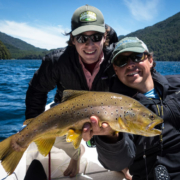 Watch this short video on trout fishing in Patagonia. It will wet your appetite. 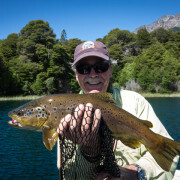 Northern Patagonia Best Trout Fishing from Andes Drifters on Vimeo. © 2015-2019 Hawkins Outfitters all rights reserved.